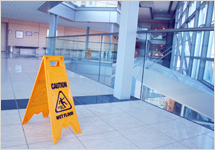 With our extensive industry experience and comprehensive list of janitorial services, every cleaning program is carefully tailored to meet each client’s unique facility needs. We uphold our standards of excellence by maintaining up to date, state of the art cleaning chemicals and technologies that include an environmentally sound, health conscious Green Cleaning option. Our industry experienced custodians undergo a rigorous training program and work closely with our management team to ensure the highest level of quality. Regular restocking of janitorial supplies.